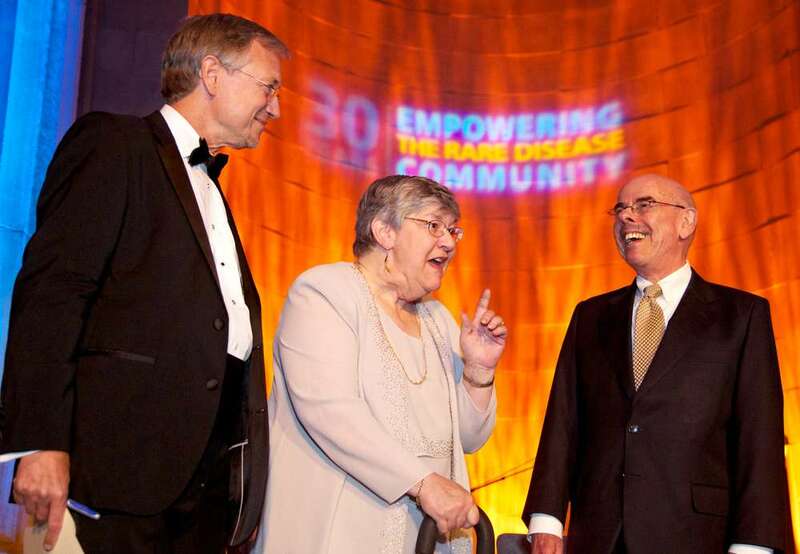 Thirty years ago, Congress acted to spur research on rare diseases. Today, we have hundreds of new drugs — along with runaway pricing and market manipulation, as drugmakers turn a law with good intentions into a profit engine. Then she fell asleep at school from inexplicable fatigue. Even walking proved difficult, often impossible, as she knocked into furniture and walls. It was like an electrical switch in her body toggled without warning. Some days she was in control, most she was not. Specialists were stumped. Some wondered if 10-year-old Violet O’Dell exaggerated her symptoms for attention. A teacher warned that it was adolescent rebellion. It took three months before a general practitioner detected the shadowy, cancerous tumor that clung to Violet’s brain. In the fall of 2011, a cancer physician at Seattle Children’s hospital met with Violet. He crouched, to talk eye to eye. And he told her: The rare, inoperable malignancy struck just a few hundred children each year. Most died within a year. None survived. But doctors could offer this: An “orphan drug” — one approved for a rare disease — might slow the cancer’s growth. With the drug, Avastin, Violet might live an extra month, maybe longer. The drug cost up to $50,000. For the O’Dell family, the drug’s cost exceeded their annual income. For Genentech, the San Francisco-based company that manufactures Avastin, the drug brings in $3 billion a year. The O’Dells’ conundrum — a lot of money for a little time — highlights the pharmaceutical industry’s unchecked profiteering from rare diseases. Thirty years ago, Congress passed the Orphan Drug Act as a way to lure pharmaceutical companies to develop drugs for rare diseases that had been “orphaned” — abandoned or ignored because they were unprofitable. The hope was that drugmakers would break even or post modest profits. The act paid off, with hundreds of new drugs. But over the years, its good intentions have been subverted by the pharmaceutical industry, which has increasingly found ways to exploit this once-obscure health-care niche, transforming it into a multibillion-dollar enterprise. The law gave drugmakers financial incentives: market exclusivity for seven years, tax breaks and abbreviated testing. The freedom from competition — coupled with the ability of drugmakers to price drugs however they want — has propelled the treating of rare diseases into the fastest-growing sector of America’s prescription-drug system. Federal law defines a rare disease as one that affects fewer than 200,000 people. Historically, rare diseases received relatively little attention from drugmakers because fewer patients meant less demand — hence, less profit. What is the Orphan Drug Act? Enacted by Congress in 1983, the act creates financial incentives to encourage pharmaceutical companies to research and develop drugs for rare diseases. The incentives include tax breaks, streamlined testing requirements and market exclusivity for seven years. Before the Orphan Drug Act, the federal government approved only 10 drugs for rare diseases. Now, there are at least 363 approved drugs, licensed for 449 variations of rare disease. Still, there are about 6,000 rare diseases for which there is no licensed drug. This growth has accelerated in recent years, as drugmakers have faced dwindling profits on mainstream drugs, courtesy of expiring patents and low-cost generics. Drugs for rare diseases commonly begin in the six figures for a year of treatment. This year, one reached $440,000. The law defines a rare disease as one that affects fewer than 200,000 U.S. patients a year. Most afflict fewer than 6,000, according to the National Institutes of Health. But collectively, they impact an estimated 25 million Americans — about 1 in 12 people, the government reports. The Food and Drug Administration decides which drugs qualify for orphan status and receive federal perks. By law, pharmaceutical companies can market a drug only for its approved use. However, doctors can prescribe drugs, orphan or otherwise, in whatever way they choose, which is known as going “off label.” It’s in this regulatory gray area that drugs officially approved for a few hundred patients can be sold to tens of thousands more. While off-label prescriptions benefit many patients and provide freedom of choice for doctors, the practice comes with significant risks. According to a Seattle Times analysis of adverse-event reports, studies and enforcement records, thousands of preventable injuries and early deaths have occurred when orphan drugs have been prescribed for unlicensed use. In the late 1970s, a California mother learned about a drug that could help control her teenage son’s Tourette’s syndrome, a rare disorder that causes involuntary speech and tics. She tried to find the medication only to discover it wasn’t sold in the United States. The drug, Pimozide, was available in Canada. But U.S. Customs agents seized the drug when a family friend tried to bring pills back. Waxman’s next hearing coincided with the episode’s airing. This time, the chamber overflowed with spectators and reporters. Waxman co-sponsored a bill designed to stimulate drug-company research into rare diseases in exchange for federal grants, fee waivers, tax breaks and abbreviated clinical trials with fewer patients. The most-coveted perk: seven-year market exclusivity, to keep competitors at bay. When political wrangling threatened Waxman’s bill, the Klugman brothers penned a second episode of “Quincy, M.E.” that featured 500 extras — all real patients with rare disease — marching on the Capitol. The episode galvanized public support. The Orphan Drug Act became law in January 1983. In the decades prior, the FDA had approved only 10 drugs for rare diseases. Since the act took effect, 363 drugs have been approved as of October, a Times analysis shows. All told, these drugs have been licensed for 449 variations of rare disease. Waxman has characterized the Orphan Drug Act as “government at its finest.” Likewise, the act is widely praised by many physicians, researchers and patient advocates for helping millions of patients receive treatments that otherwise might not exist. But despite its “enormous” success, the act has had “some downsides as well,” Waxman told The Times. “The industry has taken advantage of the incentives to charge excessive profits and to reap windfalls far in excess of their investments in the drug,” he said. Waxman has introduced amendments to rein in profiteering — to cut into the seven years of market exclusivity, for example — only to face defeat, thanks to lobbying from the pharmaceutical industry. “Almost a third of orphan drugs net more than $1 billion in annual sales,” Waxman said. “I think we need to put some outer limits on the prices for some of these drugs. But this of course has been fought vigorously by the drug companies. Gina Dichter’s husband took the phone call: The pathology report was in, and they now knew — after six years of baffling symptoms and two difficult pregnancies, with a kidney tumor during the first and a collapsed lung the second — that Gina had a disease called lymphangioleiomyomatosis. The disease was rare. The disease was fatal. There was no cure. From there, the news got worse. Dichter, who lives in Bellevue, could find little information about her disease, called LAM, for short. Her family reached out to a foundation in Cincinnati and learned that while the disease had been recognized for 60-some years, little research had been done. And little would be done — unless Dichter, and patients like her, took the lead. The Orphan Drug Act was supposed to entice industry, but in the case of Dichter’s disease, pharma has been slow in coming. When Dichter received her diagnosis in 1998, she was 34 and her daughters were 5 and 2. Given maybe 10 years to live, Dichter thought: “I don’t want to die. I want to live. And I’ve got these two kids to raise. With LAM, musclelike cells grow out of control in the lungs, choking off the air supply. Kidneys can also be affected. The disease strikes mostly women in their childbearing years; maybe five in a million women get it. A pulmonary-function test tracks a patient’s lung capacity; the lower the score, the harder to breathe. Ten years ago, Dichter’s number was 46 — meaning she had 46 percent of her lung function left. 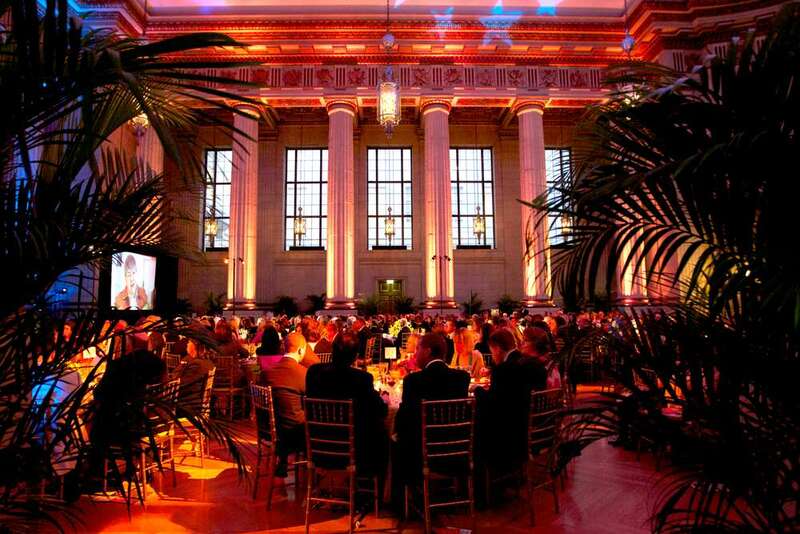 With family and friends, Dichter put on an annual auction to benefit The LAM Foundation, which directs money to research. Hundreds of people attended, bidding on such items as a ride with the Blue Angels or on a tugboat. “It was like putting on a wedding every year — for nine years,” Dichter says. In 2007, she called it quits. But by then, her circle had donated more than $1.7 million to TheLAM Foundation. “They raised the most money that any one family has raised,” says the foundation’s Sue Byrnes. Byrnes, whose daughter has LAM, founded the nonprofit in 1995. Lauded in medical journals as an example of how patient groups can drive research, the foundation solicits tissue samples, surveys patients (“that’s priceless data,” Byrnes says), keeps a patient registry and helps fund studies and trials. In 2002, research indicated that a drug approved for use in kidney transplants might be useful in treating LAM. The drug, called Rapamune, was owned by Wyeth, a pharmaceutical company subsequently acquired by Pfizer. Some patients, including Dichter, began taking the drug off-label. Typically a drug’s maker — the financial beneficiary, should things work out — pursues a treatment trial. But while the market for kidney transplants fueled industry interest, the shallow pool of LAM patients did not. So the job fell to Dr. Frank McCormack, a Cincinnati pulmonologist who serves as The LAM Foundation’s scientific director. In 2004 he started planning a double-blind, randomized trial. To raise the needed $8.5 million, McCormack and other researchers tapped eight sources, including the U.S., Canadian and Japanese governments. The LAM Foundation gave about $500,000. Pfizer contributed about $1.2 million, mostly in free Rapamune. McCormack’s team encountered daunting regulatory hurdles while enrolling 89 patients at 13 sites in the United States, Canada and Japan. “From beginning to end, the trial took seven years,” McCormack says. In 2011, the results were published: The LAM patients taking Rapamune stabilized, while lung function in the placebo group declined. 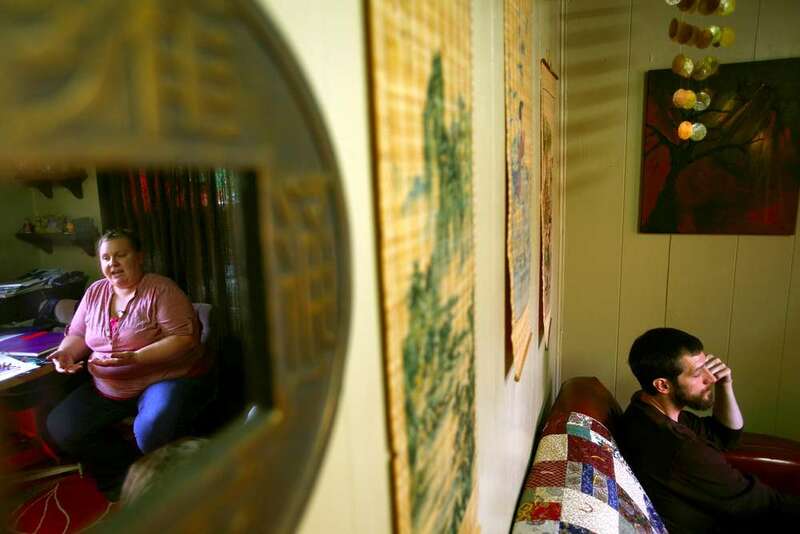 By law, a rare disease affects fewer than 200,000 patients. But there’s also an informal subcategory: ultra-rare diseases, ones often defined as affecting fewer than 6,000 patients. Most rare diseases, including LAM, fit this subcategory. In recent years, pharma has lobbied for additional incentives to develop ultra-orphan drugs. Pfizer told McCormack it was a financial no-go; a key patent for Rapamune expires in January 2014, which means generics can enter the market, diminishing the drug’s value. In the end, McCormack and The LAM Foundation found a workaround that allowed them to seize the initiative. They filed a citizen petition asking the FDA to approve Rapamune as an orphan drug for LAM, a request that remains under consideration. Dichter credits Rapamune with helping keep her alive. Her pulmonary-function number is now 36, “which isn’t bad,” she says. Rapamune’s maker declined to pursue the limited LAM market. But it pursued other uses for the drug, ones with more patients. The federal government accused Wyeth, Pfizer’s subsidiary, of unlawfully marketing the drug for many kinds of transplants, not just for its approved use with kidneys. The company put profits over safety, the government alleged. Earlier this year, Wyeth agreed to settle by paying the government $491 million. Britain does it. So do France, Germany and Canada. The only major industrialized country that doesn’t regulate the cost of prescription drugs is America. Here, prices reflect what the market will bear. That’s dictated largely by insurance carriers, which negotiate reimbursements, and Medicare, which pays for essential treatment no matter the cost. Sometimes, those prices stun. Soliris, an Alexion Pharmaceuticals drug used for a rare anemia, costs up to $440,000 a year. Gattex, a short-bowel-syndrome drug from NPSPharmaceuticals, came out at $295,000 — three times the price first floated. Both drugs are licensed for only a few thousand U.S. patients each year. The U.S. is the only major industrialized nation that does not set price limits on prescription drugs. Increasingly, orphan-drug prices start in the six figures and collectively rake in tens of billions of dollars in revenue a year. Costs below represent maximum prices. Typically, the mega-blockbusters are orphan drugs licensed for multiple disorders, expanding the patient pool. A celebrated example is botulinum toxin type A, known today as wrinkle-remover Botox. Licensed in 1989 as an orphan drug to treat uncontrolled eye blinking, it generated $1.8 billion in sales last year. The current top revenue-producing orphan drug is Rituxan, licensed by the FDA for non-Hodgkin’s lymphomas and rheumatoid arthritis, among others. Used widely off-label to treat other diseases like multiple sclerosis and autoimmune anemia, the drug rings up more than $7 billion a year. The pharmaceutical industry says high prices offset costs of research, which can take years and cost a billion dollars or more. Yes, some drugs are bonanzas, industry trade groups agree. But they say the winners help support the many losers, subsidizing the chase for new drugs. A Thomson Reuters industry report published last year noted that more pharmaceutical companies are entering the rare-disease market because profit margins often exceed those for non-orphan drugs. But those profits have generated pushback. This year, more than 100 prominent cancer specialists from more than a dozen countries banded together to protest rising prices in the medical journal Blood. One way the pharmaceutical industry has profited is by taking existing diseases and cutting them up, creating new diseases and new markets. Hundreds of rare diseases are so similar that they can be differentiated only on a molecular level. Even medical experts can struggle to distinguish them. The FDA calls this “salami slicing” and has begun to clamp down, requiring more rigorous examination before a new disease is recognized. There were about 2,000 rare diseases before the Orphan Drug Act. As of last month, there were 6,432, a Times analysis found. Six months after Violet O’Dell’s diagnosis, she was again the precocious redhead who raced after her goats and chickens, an eye to the sky to protect the smallest from eagle strikes. The O’Dell family — Jessica, a part-time teacher at a Christian school; Jeramie, a welding teacher at a community college; and three children — lived on a seven-acre farm in Sequim. When Violet was diagnosed in September 2011, she’d been rushed by ferry, then by ambulance, to Seattle Children’s. Chemotherapy began two days later for brainstem glioma, located where the brain and spinal cord connect. Cancerous tentacles intertwined with healthy tissue, making it impossible to remove the tumor. Doctors supplemented chemotherapy with Avastin, because clinical trials had shown the drug could ease symptoms and prolong life. Jeramie secured an extended leave with pay from his job, which came with insurance. But the family’s combined annual income of about $41,000 would not even cover the cost of deductibles. “We put our faith in God and decided not to worry about it,” Jessica says. When the Make-A-Wish Foundation granted Violet an opportunity to pick any dream, she bypassed Disney World for a new puppy, which she named Randy in memory of a 5-year-old boy at the Ronald McDonald House who did not survive treatment. By late spring of 2012, treatment had stunted her tumor. But a month later, the tumor spread across her brain. 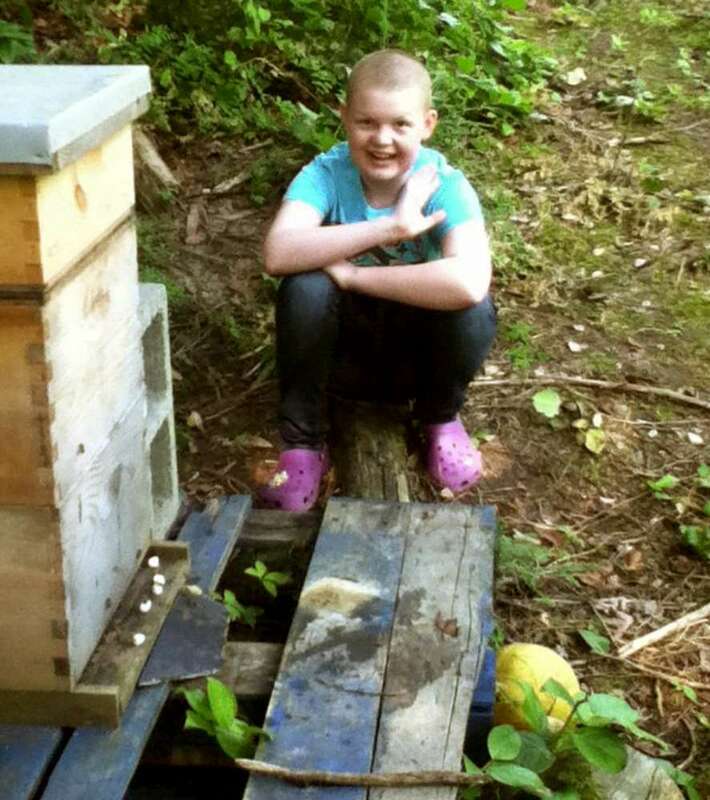 “Violet made the decision to stop treatment,” Jessica says. The daylong trips to Seattle and the sickness that followed every treatment had become too much. But visits to the doctor continued. Seattle Children’s supports a nonprofit program, Beads of Courage, which awards a bead for every medical milestone — yellow for an overnight hospital stay, white for chemotherapy, purple for an infusion. Violet created necklaces, bracelets and figurines. Her favorite beads glowed in the dark — the ones she got for enduring radiation treatment. With so few remedies available for rare diseases, pressure can mount for quick approval of promising new drugs. Among rare bone-marrow cancers, acute myeloid leukemia, or AML, is one of the more common. Fatal in most cases, the disease strikes about 15,000 Americans a year. Since AMLtypically strikes older adults, and America is aging, that number is expected to grow. In the late 1990s, a drug called Mylotarg, from Wyeth-Ayerst Pharmaceuticals, raised patients’ hopes. 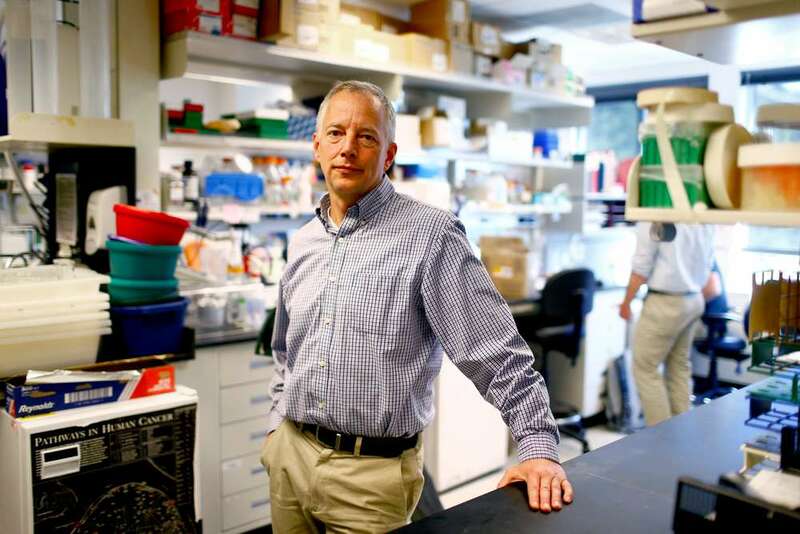 Clinical trials held at Seattle’s Fred Hutchinson Cancer Research Center and other sites indicated that about 30 percent of patients benefited from treatment and had fewer side effects than those treated with other drugs. When Massachusetts refused to pay $93,000 for an 11-year-old Boston boy to get the experimental treatment, the boy’s father launched a fundraising drive. The boy flew to Seattle, was treated with Mylotarg, and seemed to improve. Wyeth asked the FDA to grant accelerated approval for Mylotarg. At the time, the drug had been tested on only a few hundred patients. One of the patients had died from veno-occlusive disease, a complication in which the small veins in the liver are obstructed. In 2000, the FDA said yes, licensing Mylotarg for AML patients 60 and older who had relapsed or were not candidates for chemotherapy. But the FDA also imposed a condition: It ordered Wyeth to launch a larger, comprehensive clinical trial. Meanwhile, the drug’s sales surged in off-label use for AML patients of all ages. More drugmakers in recent years have sought approval for new orphan drugs. But only a handful of applications to the FDA achieve “designation” as an orphan and go on to receive approval to be marketed and sold to the public. Within a year, problems surfaced. Researchers at a cancer center in Texas discovered a pattern of deaths linked to veno-occlusive disease and Mylotarg treatment. Of 119 patients studied, 14 developed the potentially fatal disease — a statistically significant 12 percent. The FDA required Wyeth to put a “black box” warning on the drug’s label, one of the strongest actions the agency can take. 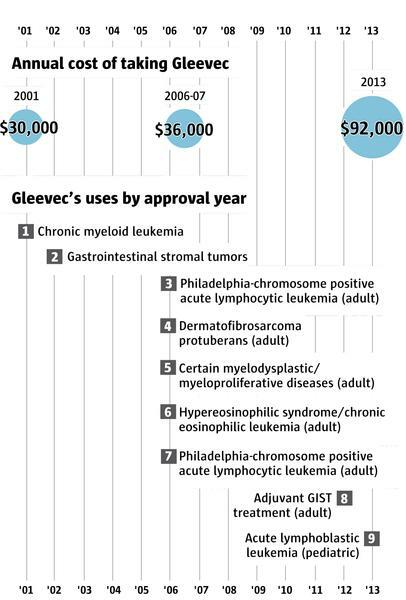 Few drugs have been more effective against cancer or raked in more money than Gleevec. First licensed in 2001 by the FDA, the Novartis-owned drug is now approved for nine rare disease variations, the highest among orphan drugs. Treatment can cost up to $92,000 a year. The drugmaker reported $4.7 billion in sales last year. Four years passed before Wyeth launched the comprehensive trial mandated by the FDA. Beginning in 2004, more than 600 patients, ages 18 to 60, were enrolled at dozens of sites, including the Fred Hutchinson center. By 2007, Wyeth had applied to sell Mylotarg in Europe. But the European Medicines Agency refused a license, citing weak clinical evidence of any benefit. In 2009, as the last clinical-trial patients were being enrolled, Wyeth was purchased for $68 billion by Pfizer, the world’s largest drugmaker. In September 2009, the Government Accountability Office, Congress’ investigative arm, issued a report castigating the FDA’s “passive approach” to enforcing licensing requirements for drugs given accelerated approval. The report singled out Mylotarg. For Wyeth, the nine-year delay had paid off, the GAO found. The drugmaker pulled in nearly $207 million from Mylotarg sales. Three months later, at a New Orleans medical conference, researchers from Seattle and elsewhere delivered devastating news: Deaths linked to Mylotarg were “significantly higher” than previously believed. Six more months passed before Pfizer withdrew Mylotarg and stopped the clinical trials. The FDA concluded Mylotarg had no proven benefit to patients, after researchers found that more people died after Mylotarg treatment than those who received traditional chemotherapy. The Boston boy, whose family had fought so hard to have him treated with Mylotarg, in Seattle, wound up dying. His father, consumed with grief, committed suicide the next day. The O’Dell family received a miracle, just not the one they most wanted. All their medical expenses not covered by insurance were paid through a program at Seattle Children’s for uncompensated care. Their mortgage payments were picked up by a private charity. In Sequim, local businesses and a school staged fundraisers to help. In October 2012, a year after she was diagnosed with brain cancer, Violet died in her sleep at home, surrounded by family. Scattered throughout her room were remnants of her last weeks: beaded figurines, painted pictures, written poems and prayers. Violet’s pediatric oncologist, Dr. Jim Olson, was inspired by Violet’s maturity and grace, and the family’s willingness to donate their daughter’s brain for research that would help better understand the untreatable disease. Olson had been working to extract new drugs from nature, from insects to sea life to plants. A promising candidate had been culled from a flower — the violet. With doctors and researchers, Olson created Project Violet at the Fred Hutchinson center. Today, they are developing a new class of compounds, nicknamed optides, engineered to attack cancer cells without harming healthy tissue. Funds get collected through crowdsourcing, what Olson calls “citizen science.” Contributors adopt and name a specific compound for as little as $100. The initiative has already pulled in millions of dollars. The traditional research model is “broken,” Olson says. It takes too long and costs too much to learn if a drug works. Take Avastin, the drug that was supposed to help Violet live longer. For 16 years, it was studied in at least 400 clinical trials that varied by cancer and design. But it wasn’t until this year that a comprehensive trial with more than 600 patients — the drug’s first double-blind study for newly diagnosed brain cancer — found no difference in survival between those who got the drug and those given a placebo.